Jane Bullock is founder and president of Bullock and Haddow LLC, a consortium of professionals offering practical assistance in mitigating, planning for, and recovering from the impacts of all forms of emergencies and disasters. 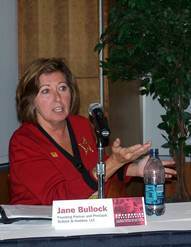 Bullock spent 25 years with the Federal Emergency Management Agency (FEMA), culminating in her role as Chief of Staff under the leadership of Director James Lee Witt during President Bill Clinton’s administration. 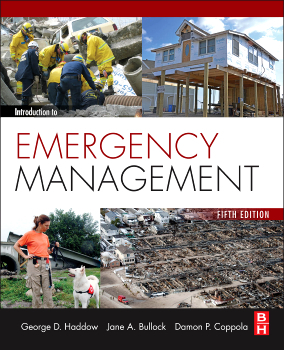 She is co-author with George Haddow and Damon Coppola of the market-leading textbook Introduction to Emergency Management (the 5th edition publishes in October) as well as Introduction to Homeland Security, 4th Edition, both published by Butterworth-Heinemann, an imprint of Elsevier. Haddow and Coppola also contributed to this article. Haddow is a principal of Bullock and Haddow LLC and served as FEMA’s Deputy Chief of Staff and liaison to the Clinton White House. Coppola is an emergency management systems engineer and has written or co-authored some of the leading textbooks in the field. Natural disasters have no political boundaries; in the United States, they impact Republican and Democratic Congressional districts equally. Historically, funding to help American communities recover from natural disasters has come from the federal government, and it typically received bipartisan support. It has always been considered as emergency funding, which is not subject to the usual budgetary rules. However, this is changing in the current political climate. 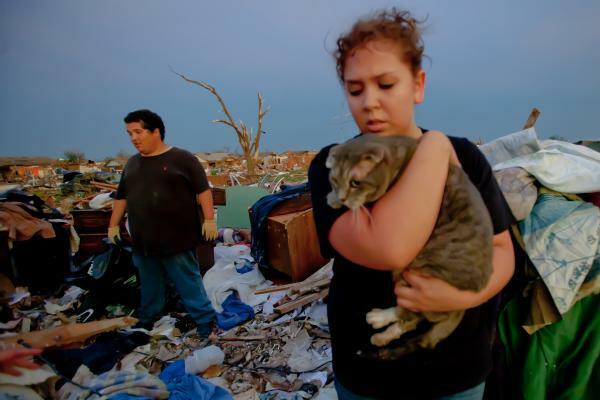 As a result, Hurricane Sandy and the Oklahoma tornadoes have raised interesting issues. Starting with major floods in the Colorado River basin in the 1930s, the US Congress responded to natural disasters by passing special appropriations to help states and localities impacted by these disasters. This approach continued even after the creation of the Federal Emergency Management Agency (FEMA) in 1970, which was charged with the mitigation, preparation, response and recovery from disasters across the United States and its territories. Recovery from Hurricanes Betsy and Katrina, the 1964 Alaska earthquake and the Loma Prieta earthquake in San Francisco in 1989, innumerable floods and tornadoes, and the September 11 attacks were funded by supplemental appropriations passed by Congress as emergency funding. These supplements did not, with rare exceptions, have to be accounted for in the regular federal budgetary caps or be offset by cuts to existing funding. Because predicting natural disasters is not possible, Congress chose to limit appropriations to FEMA and relied upon passing supplemental appropriations only when a major natural disaster hit. An attempt was made during the 1990s to come up with a reasonable budget number for disasters that could be part of the normal appropriations process, based on a five-year average of disaster costs. Unfortunately, several major events, including the 1993 Midwest floods, Hurricanes Marilyn and Floyd, the Northridge, California, earthquake and the Oklahoma City Bombing demonstrated the infeasibility of that approach. While it is clear that disasters have become more frequent, more severe and more diverse in the last 20 years, predicting exactly which areas will be impacted, and hence being able to estimate the potential costs to the federal government, has been impossible. We know that federal support is essential to the economic and social security of the nation. However, as costs escalate, there has been a rising call from certain sectors in Congress that approval of any supplemental disaster funds should be offset by making cuts to existing approved government spending. This issue came to the fore when Congress delayed passage of supplemental funding for relief from Hurricane Sandy while they debated whether other budgets should be cut. Ironically, it was members of the Oklahoma delegation who led the charge to require offsets. However, after increasing pressure from the New York and New Jersey Congressional delegations, the Sandy supplement passed without significant repercussions to the federal budget. The provision of public health and safety is a primary function of the American government and our moral duty as a nation. The United States has a proud tradition of standing by our neighbors when disaster strikes. To exercise this responsibility in the face of increasing impacts, we need to engage in a reasoned and thoughtful dialogue on how the country can meet the escalating costs. This dialogue should occur now, before the next disaster happens.